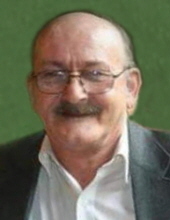 James Wayne “Jim” Slater, 70, of Waterloo, died Wednesday, April 3 at UnityPoint Health - Allen Hospital. He was born April 13, 1948 in Waterloo, son of Wayne and Anna Baych Slater. He married Patricia Butters, they later divorced. He then married Sandy Ohrt, they later divorced. Jim was employed with Tent and Awning Co. and was self-employed as a siding contractor. Survived by: son, Steven (Christine) Slater of Waterloo; two adopted children, Leanna (Stacey) Nelson of Evansdale and Terry Slater of West Union; a step-son Bob (Mary) Slater of Waterloo; 11 grandchildren; many great-grandchildren; four siblings, Joyce (Lewis Eifert) Halverson of Waterloo, Warren (Vallerie) Slater of Des Moines, Margaret (Dan) Stacey of Helena, Mont. and Colleen (Dan) Krug of La Porte City. Celebration of Life will begin at 5:00 p.m. on Sun=-day, April 7 at Firewater Bar, 712 Jefferson St., Waterloo. Public visitation will be from 1-3 p.m. on Sunday at Hagarty-Waychoff-Grarup Funeral Service on South Street. To send flowers or a remembrance gift to the family of James Wayne Slater, please visit our Tribute Store. "Email Address" would like to share the life celebration of James Wayne Slater. Click on the "link" to go to share a favorite memory or leave a condolence message for the family.